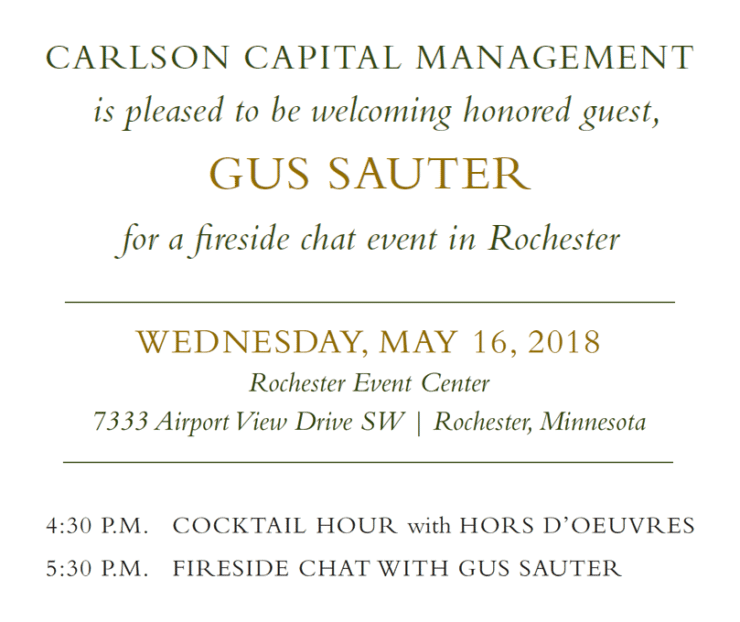 GUS SAUTER served as Chief Investment Officer, Managing Director and Portfolio Manager of The Vanguard Group, Inc., where he worked for 25 years. Founded in 1975, Vanguard is one of the world’s largest investment companies, known for their low-cost options including more than 380 traditional funds and ETFs. You won’t want to miss this unique opportunity to hear directly from one of the country’s leading experts as we cover topics from the global economic crisis to insights on investing in the context of current events. Please note any physical restrictions or special accommodations below.